The Hollands are a mother, father, sister, and brother, bound by blood and a vision to travel about this earth, spreading a message of reconciliation and love. As they travel, they foster and encourage community, sharing their gifts and talents, music, craftsmanship, mentoring, instruction, and merrymaking. At the end of 2010 The Hollands! recognized a huge disconnect in their marriage, family, spirituality, global footprint and finances. They were the typical middle class American family, working full-time, pursuing their musical passion, school committee’s and organizing neighborhood gatherings. Trials came their way which lead the Hollands through a major transformation process that included deeper connectivity, reconciliation and purpose. They cast a dream/vision for a life that was transparent, holistic and community driven. They launched in their MCI-9 bus conversion in 2011 and have been rolling ever since. This blog shares the on-going bus conversion journey, as well as stories about their global/local neighbors, showcasing many of people they’ve met along the way. It is also a safe place where they can express intimate details about spiritual musings and tell of places they have visited along the way that have reinforced their hope in beauty, goodness and truth. Here are a few things they get up to while they travel…. THE HOLLANDS! 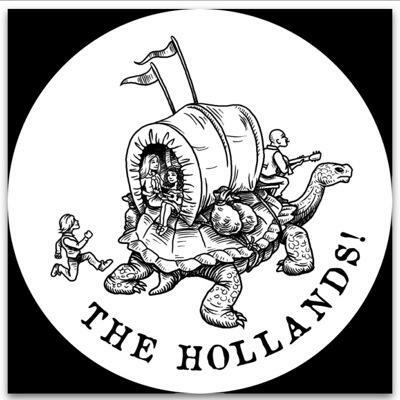 Folk/Americana Band: The Hollands! are seasoned concert performers, charming audiences with their intimate merrymaking. They are a full-time internationally touring family based in the US via Australia with a knack for engaging audiences and rousing a sing-a long. They are 21st century nomadic travelers and frolic in the organic folk revival scene. The Hollands! are active members of the International Folk Alliance and support the arts through concert performance, workshops and community arts programs. SONGWRITING FAMILY STYLE: (Writing & Creativity) Family band, The Hollands! have had a unique opportunity to create together. Their team effort has birthed three full length albums. Gleaning from their shared experience, Songwriting with The Hollands!, offers participants the opportunity to learn how to write with others. They will guide participants through a basic understanding of song structure and tools to get songs flowing. This is a class on song and writing and will focus on writing in groups. Excellent for School age to adult. MUSIC THERAPY FOR THE ELDERLY: Specializing in movement and memory, Jana Holland offers an entertaining and therapeutic approach in her 45 min music program. IN SPIRIT AND TRUTH: Jana and Craig’s spirit of worship is sensitive and inclusive to all. Over the past 15 years they have had the opportunity to lead worship in the US, Australia and Southeast Asia. They are “worship curators,” using scripture, song, and prayer to create a frame of connectivity and depth for participants to fully engage. They are also teachers and have developed worship, prayer and songwriting workshops, trained and taught at a span of conferences, churches, small groups, etc, taking the participants through study and the practical experience of creating a “collective” and curating worship. Their hope is to be apart of a rebirth of artistic expression and thought in worship. Most importantly they hope to invoke openness in the hearts, minds, and eyes of the Saints to the absolute majesty and reality of Yeshua. SWIMMING UPSTREAM: (Inspirational) We live in a culture that is individualistic and prides itself on being independent and self sustainable. Comfort and security are at the top of the list for most people. What if these ideals that our culture values are masking our longing for a deeper sense of community and adventure. What if they are holding us hostage? The Hollands will guide a round table discussion about why we do what we do as a culture, not so that we can be different or better than others but so that we can find purpose. They will tackle questions like, Why do we care so much about status? What role should education, healthcare, the pursuit of happiness have in our lives? What is freedom? What is interdependence and why is so vital to our existence? Who are we and what are do we do best as a team? The purpose of this workshop is not to promote a nomadic lifestyle per se but to inspire others to see the value in swimming upstream and to start to dream. MORE MARRIED: A triune Marriage is no easy task. Secrets and lies can keep us from the most thrilling and intimate ride of our lives. The Holland’s openly share their journey through the highs and lows of marriage; offering a glimpse into the process of reconciliation and rebuilding the ruins. For a full day seminary or weekend conference experience, The Hollands partner with counselor, author, pastor and founder of MORE Married, Jerry Price. The M.O.R.E process encouraging Marital Openness Routinely Experienced. SPIRITUAL ADVISOR: Jana has the gift of wisdom and longs to use her gift to encourage others in their calling and relationships. Jana has a BS in Communications and Psychology from the University of Wisconsin and twenty years of experience immersed in the life study of spiritual formation and cultural anthropology. She is currently working on a MA in Intercultural studies with an emphasis in Peacemaking and Conflict Resolution at Fuller Theological Seminary. Jana is a critical and creative thinker but at the core, she is a peacemaker. She has been on the front lines in both interpersonal and corporate relationships, mediating conflict and advocating for restoration through the miracle and ministry of reconciliation. HAMMER AND TACK: As well as a skill set and knowledge base that comes naturally, Craig has twelve years of experience in the building and trades industry. He is efficient and quality minded. He is available for team or individual projects. Craig’s desire is to bring his experience and expertise to any project, big or small, outdoor or indoor. IN THE GARDEN: Craig’s passion for the soil runs deep within his soul. With an artistic eye, he has a knack for space and knows how to use it. Craig is available for gardening, landscaping and advice. THE APRON STRINGS: Jana has a rich heritage in the kitchen and has chronicled those recipes in her cookbook The Apron Strings. She is well versed in whole food cooking and loves to share her food science knowledge as well as offer a helping hand in the kitchen.